When I started this book, I wanted to read it as if I were a non-fantasy-reader. 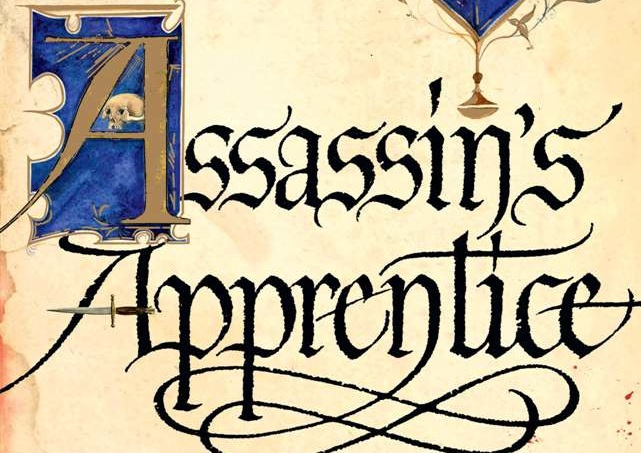 Since Game of Thrones became such a phenomenon, more people are opening themselves up to the genre, and it’s easy for me – a huge reader of fantasy – to read Assassin’s Apprentice and review it based on how well it utilises the conventions of fantasy fiction. But this novel, which is the first in a trilogy, has the abilty to engage all readers, even those who aren’t familiar with the genre. Assassin’s Apprentice is fast-paced and interesting, and the first person narration is believable and realistic. And the journeying in the story doesn’t take 50,000 pages, which is usually what frustrates me about fantasy fiction (*cough* The Queen of the Tearling *cough*). Robin Hobb reveals enough about the world and the characters for the reader to understand the story, but not too much where the reader is going to feel fatigued by the excess information. I assume that Robin reveals more to the reader in the second and third novels in this trilogy. Robin Hobb’s writing is fluid, and events seem to flow from each other in a natural sequence. There are no disjointed events or conversations that have the reader confused and flicking back through an earlier chapter. Fitz’s motivations and doubts are seen through his actions, not through telling. This is hard to accomplish, especially since fantasy authors have so much information to write down and it’s tempting for them to simply tell the reader things instead of showing them. What I loved about the main character, Fitz, is that although he’s brave and intelligent, he’s also extremely flawed. His relationships with the other characters are sometimes misguided, or he says or does things that the reader might not understand or agree with. And because he’s flawed, the reader sympathises and engages with him on a greater scale.